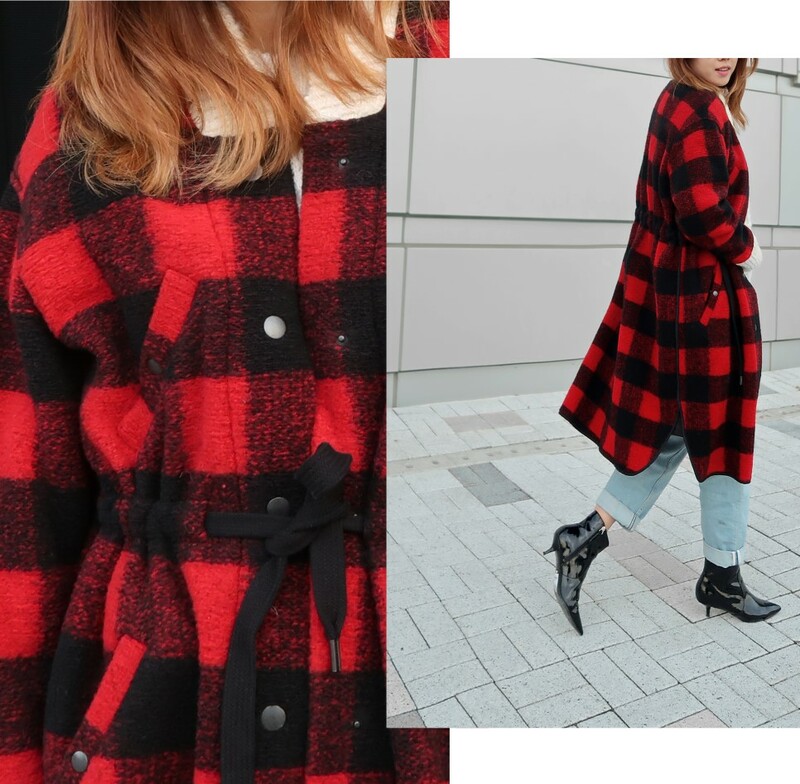 I will introduce Isabel Marant Etoile’s Red Check coat today. Since it is the holiday season, the red color is a beauty and great as a casual daily coat. It is feminine yet cute with the check pattern. 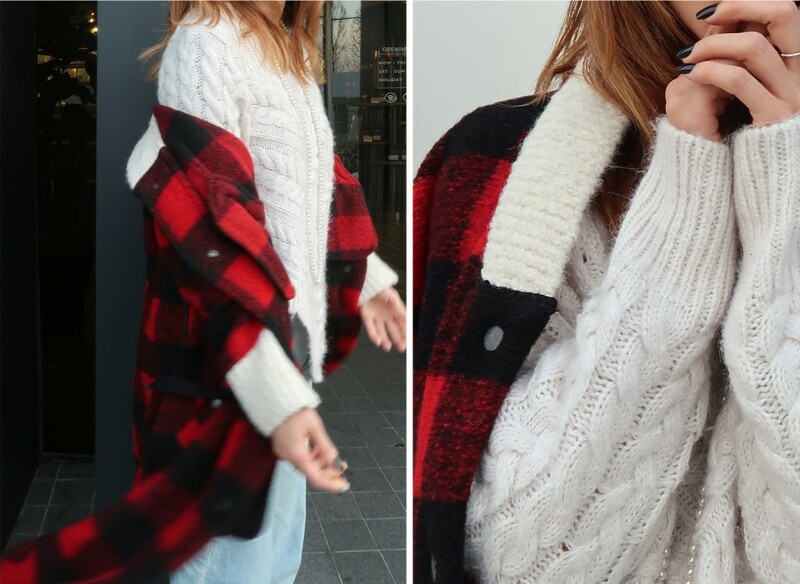 It is the perfect pretty casual coat! 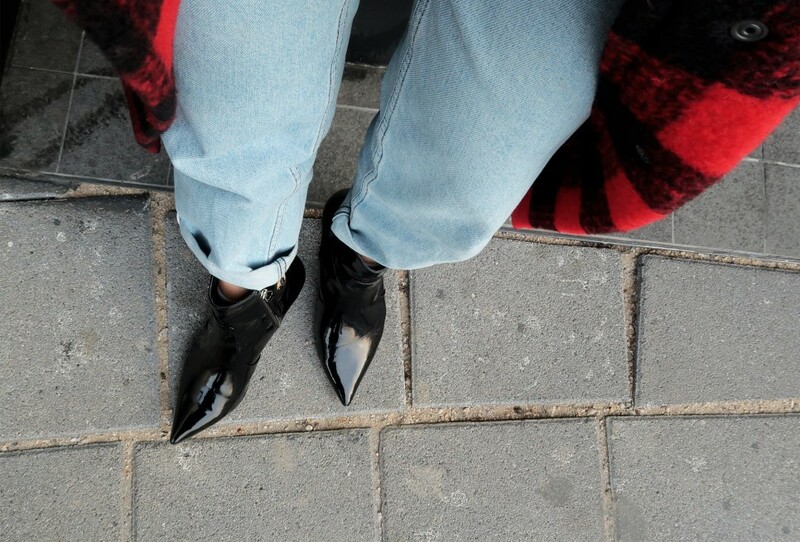 Marant check is still the way to go. From the softness of the wool touch, it feels as warm and cozy as a warm blanket. Although there is no lining inside, the material itself is quite thick that holds it shape with beautiful volume. However, it is a bit cold to wear on much colder days. It would be best to layer a fur vest or padding on top for colder days of the season. 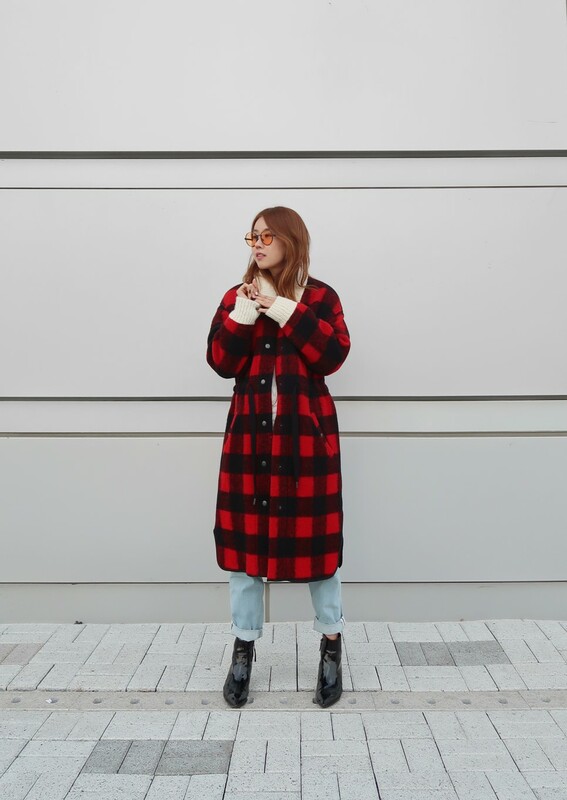 The contrasting color of the neck and sleeve brighten up the red check. Since it is a cream color knitting that is soft and mushy, it feels a lot warmer. The length comes to cover the knees and the slight over fit of the shoulder line adds style and comfort. The opening and pocket detail that snaps is casual and active. The round cut line around the edges as a binding shows the feminine touches especially seen in Isabel Marant .The waist strings can be adjusted according to style either by tightening the waist or letting it drop straight down. I introduced it to you as a daily look item along with my check jacket. It is a knit that I wear almost two to three times in a week. 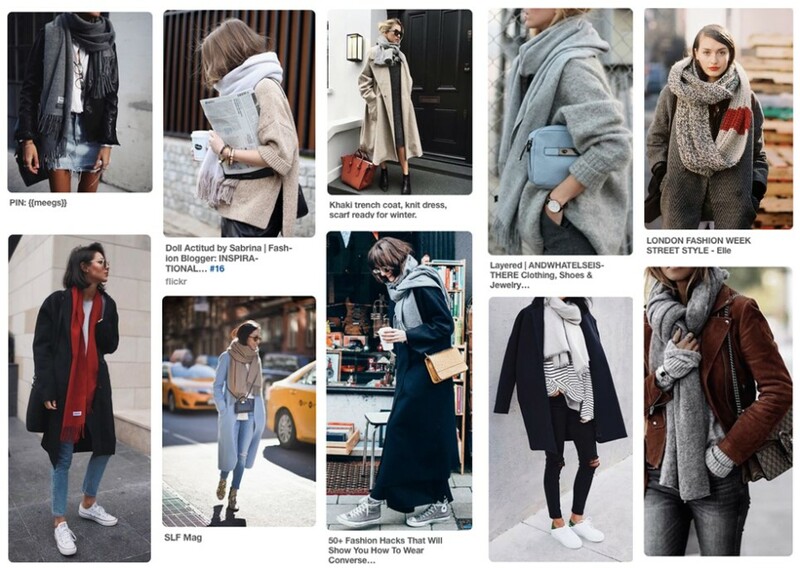 Above all, it is so warm and the basic cream color is great to match anywhere. It is a soft knit that does not shed any fur. It also has satisfied Rekay who is sensitive to scratchy knits. These are the hottest tint color sunglasses nowadays. 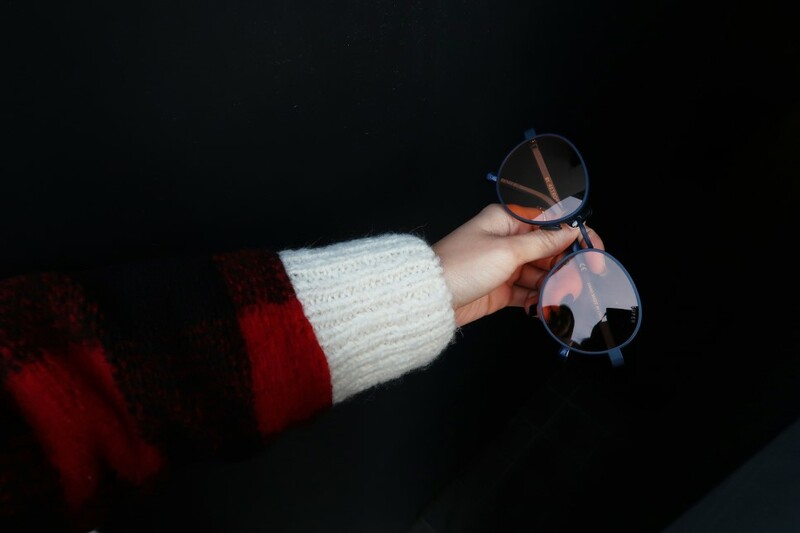 This subtle orange tint color sunglasses that brighten up your face is from Super sunglasses.